For a long time I've been wanting to create something beautiful and luxurious, but also something I could wear. 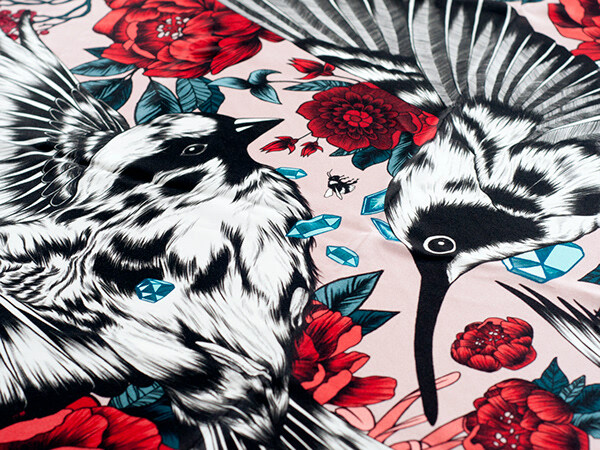 I decided to create a silk scarf which is adorned with hand-drawn imagery, inspired by my mother's love of gardening. It has a beautiful dusty pink colour, with florals in vibrant shades of red, which is complemented by the blue/grey tones and teal border. The scarf is 120 cm x 120 cm, big enough to comfortably wrap around your neck and shoulders. Made from 100% Light Satin Silk, which has a lovely soft, light and airy feeling. 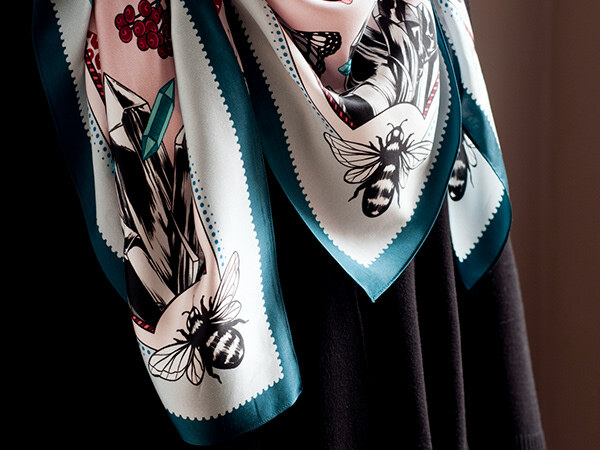 The scarf was printed and hand-finished in the UK by The Silk Bureau. 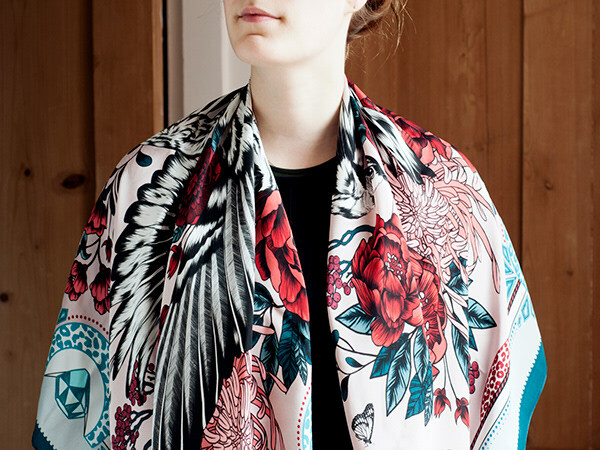 Bloom is an original design by Feline Zegers, featuring florals, birds and butterflies. 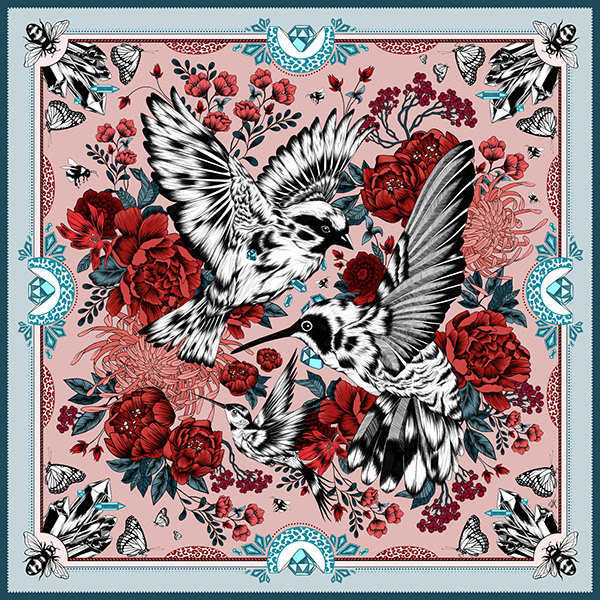 Originally made in Photoshop as a digital drawing, the design was printed and finished on silk to create a luxurious scarf design.